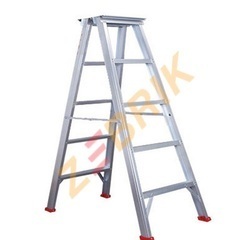 Pioneers in the industry, we offer frp a type industrial ladders, foldable ladder, a type industrial ladders, a type ladder hire, domestic a type ladder and a type ladder from India. Main Extrusion made up of Aluminium alloy 'C' Section 66 x 32 x 3.18mm thickness of Aluminium made of HE 30 grade T6 temper HINDALCO make. Skid proof fluted mullion & round rungs for each side. Skid proof fluted mullion for both side. Skid proof round rungs for both side. 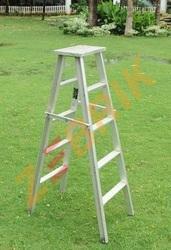 We make a world-class range of A Type Industrial Ladders in our huge infrastructural facility. 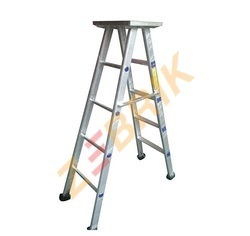 These conform to international quality standards and are made of high-quality materials of construction. These are available in different sizes, designs and as per clients’ specifications. Wheel : Equipped With M.S. Fabricated Spoke Type Wheels 36"inch To 48"inch Dia. Mounted On Axle, Leaf Spring, Rubber Shoes. 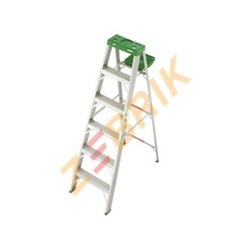 A versatile ladder in light structure with solid rubber shoes. Pipe At 12” Centre To Centre. Note : We Manufacture Our All Product As Per Customer Requirement/Drawing. 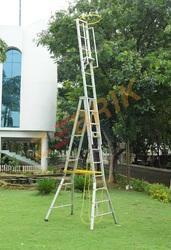 We are a manufacturer of A Type Ladder Hire and providing on Hire in Chennai. 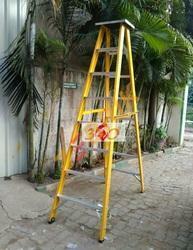 Heavy duty 3mm ladders and industrial type also manufactured. Main extrusion made up of aluminum alloy ‘c’ section 66 x 32 x 3. 18mm thickness of HE 30 grade T6 temper. Step made up of of 26mm x 3 mm thickness non slip,extra grip round corrugated flutted pipe steps. 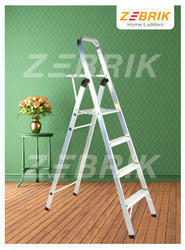 Aluminium Self supporting platform ladder with 65mm wide special Mullion box type steps. 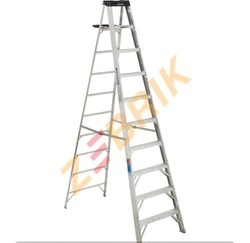 We are suppliers of A Type Extension Ladder. High quality leg grip rubber shoes for bottom legs. Top tool tray safety rings,etc,. Skid proof round rungs each side. Our technical expertise allows us to offer our clients with quality factory step ladders which are made of high quality aluminium. We manufacture these as per the industrial standards and provide these in different heights of 4, 6, 8, 10, 12, 14, 16, 18 and 20. Non slip,extra grip round corrugated flutted pipe steps. High quality leg grip rubber shoes for top and bottom. Looking for A Type Ladder ?